Real estate is a business that requires a great deal of investment, both in terms of time and money. How to get your clients’ valued property the attention it deserves? This can be a great challenge. You need to put your the best foot forward by providing a great overview of your property and displaying an attractive set of property pictures. 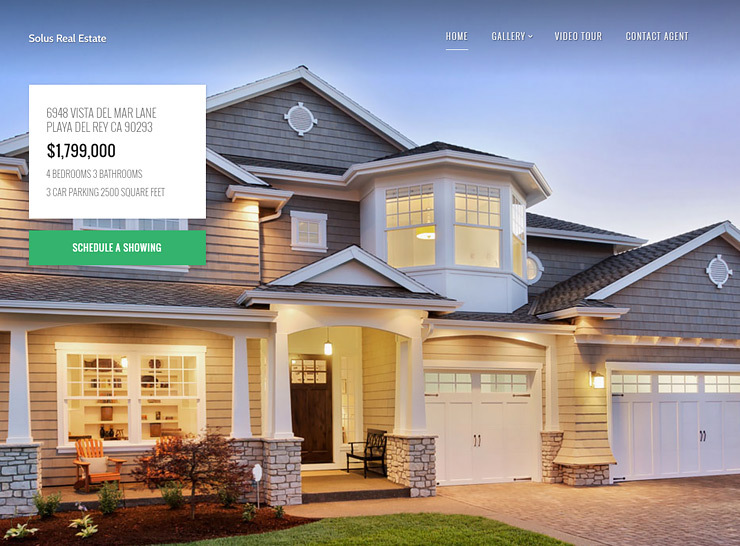 Use one of these great single property WordPress themes for your next real estate website. If you are a proud owner of your own house, property apartment, finding the right buyer or tenant becomes even more difficult! Finding the right tenant or buyer for you should not be a challenging task. Take the time out to stroll through the feature set of the following WordPress themes for single properties. winning way to capture new listings. You are now just a few clicks away from a deal of a lifetime! There is a winning way to capture new listings. You are just a few clicks away from a deal of a lifetime! All these single property WordPress themes themes require a self-hosted WordPress site. Solus is an eye-catching WordPress theme for single properties. Everything from the layout composition to widget support focuses attention to your property listing. The front page features a large canvas area intended to magnify the grandeur of your property pictures. The theme is retina-ready and gives great visibility to your property images. You can also access unlimited colors and add several images of your property to the website. Solus is translation ready as well to display properties in your own language. The site is responsive and looks great across all devices. Solus comes with comprehensive documentation including a video tutorial. 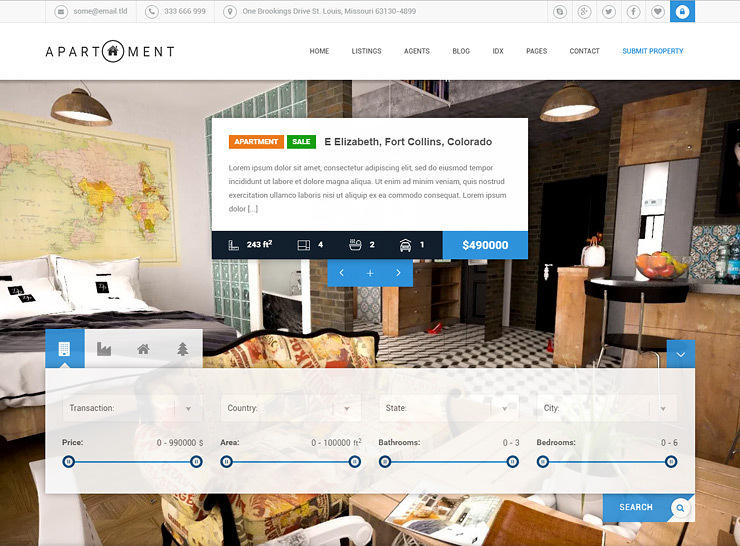 Demo content is also available so your piece of real estate will be online in no time at all! 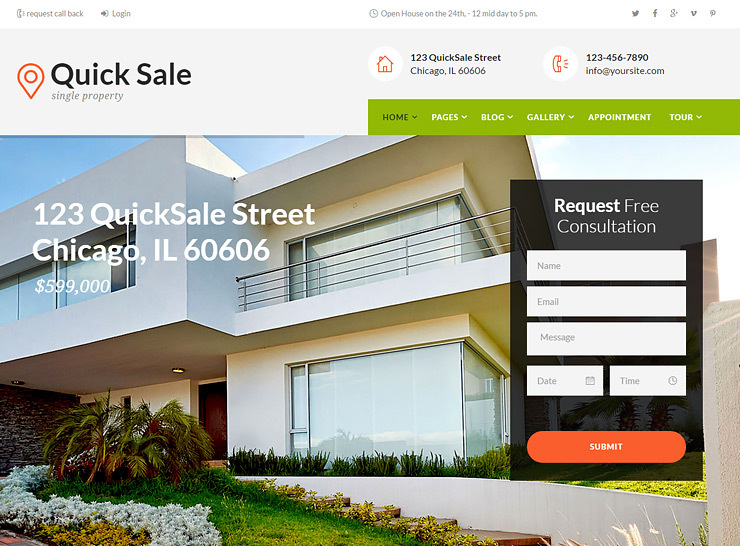 True to its name, Quick Sale will have potential buyers scrambling for your precious property. 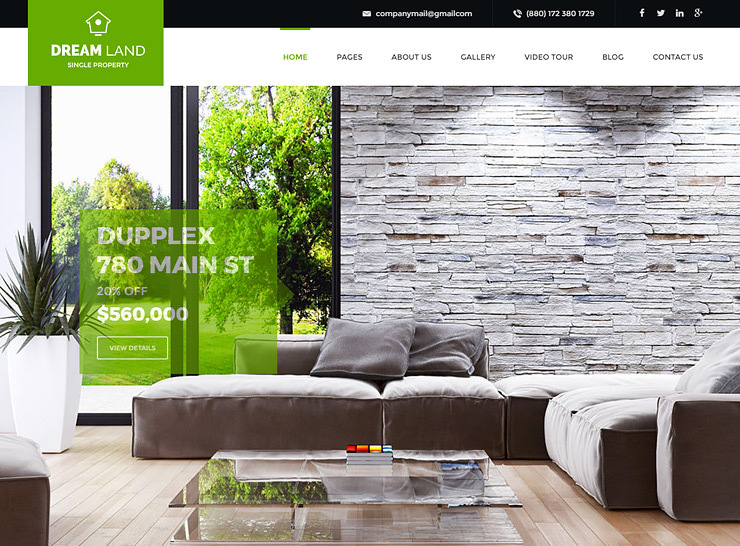 Whether you are a property owner or an estate agent, this theme offers you the perfect blend of features. This theme features 27 gallery styles to portray your real estate pictures. 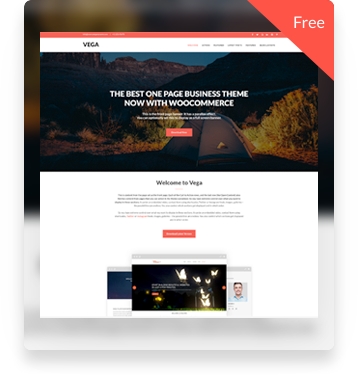 It is compatible with WooCommerce and Visual Composer. Interestingly, it also supports dsIDXpress plugin which allows you to embed live property listings anywhere on your posts or pages. Data comes from Internet Data Exchange or IDX so potential buyers can find your property in online listing services. These services can then divert the potential client to your site. Quick Sale is translation ready and widget friendly. You can use shortcodes to display an Event Calendar as well. Alternatively, you can enable online booking for appointments. The theme is packed with a one-click installer so your property listings will be up in only a few minutes! 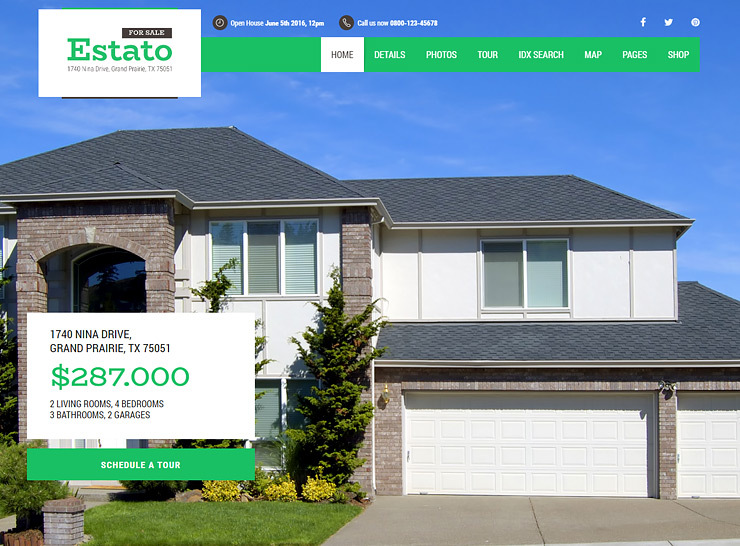 Estato is industry specific single property WordPress theme. It is quick and easy to configure and its design looks great on all devices, be it laptop, tablet, or phone. Estato offers 5 homepage templates to choose from. It comes with great plugin support including WooCommerce, WPML, and RapidComposer. The latter is an intuitive page builder to add content to your site. You can also use Contact Form 7 to book tours or schedule appointments. Additionally, you can enable a Cost Calculator plugin to provide quote estimations. This theme is also compatible with the dsIDXpress plugin which allows you to embed live property listings on your site. Listings come from IDX, an independent internet gateway so your potential buyer is likely to be directed to your site from multiple avenues. Estato has a child theme available so that site updates don’t mess with your customizations. For the novice and the expert user, property listing should be easy with Estato. DreamVilla is truly a reflection of its name. It offers a perfect combination of plugin support and layout flexibility for your real estate property. The theme features 3 distinctive home page styles, available either as a single landing page or as a multi-page website. Each composition comes with parallax image options as well. Plugin support includes WooCommerce, Visual Composer, and Slider Revolution. The theme’s own sliders also use Slider Revolution so you can quickly embed animated sliders to your site. This theme is also translation ready with support for WPML. It also works seamlessly with dsIDXpress, so you can display live property listings on your posts and pages. In addition, it is compatible with WP Quick Booking Manager Pro, a handy plugin for scheduling tours and appointments. You can also tag nearby locations on Google Maps and embed it on your site. This theme also allows PDF document uploads like brochures and add floor plans on the site. 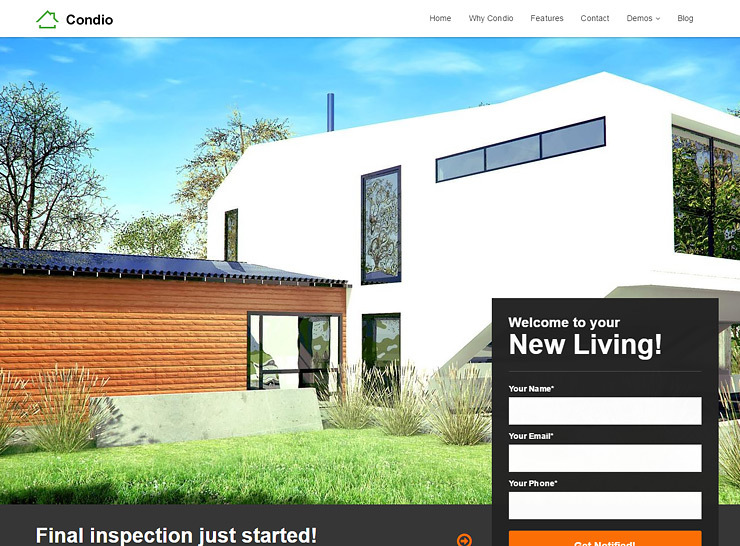 This theme is already popular in the online housing market, as a reflection of its rich feature set. 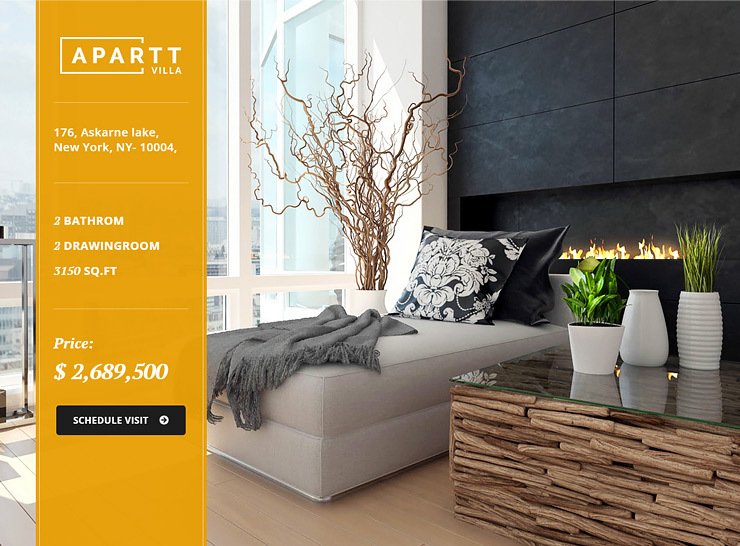 This is a versatile and pixel perfect WordPress theme to showcase your real estate property. It can also showcase apartment buildings and similar housing units. 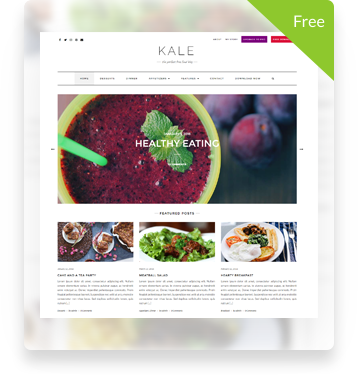 Like other premium themes, it is compatible with numerous plugins like WooCommerce, Essential Grid and Visual Composer. You can easily add your own unique style to your site. It also works with plugins like bbPress and BuddyPress. These plugins can help you to create a discussion platform for your site visitors. In addition, Windsor works seamlessly with ThemeREX Addons plugin that enhances widget support for your admin panel. The theme is also translation ready. The admin panel features several multiple page layouts, all of which are retina-ready and SEO-friendly. The layout uses mobile-friendly sliders like Revolution and Swiper as well. There are tons of shortcodes to customize your site. You can also use a mega menu or sticky menu on your home page. You also have the option to add locations on a Google Map. Such a rich feature set makes this an ideal choice for your online property listing. This is yet another industry specific single property WordPress theme. It features a rich and dynamic set of options on its admin panel. This theme is packed with features that help display multiple properties with great image displays. The theme features several layout styles. Everything from background imagery to color scheme and from typography to font style is customizable. You can use Google Fonts to stylize the textual content. A pre-built details page and tour page is also available. In addition, you have plugin support in the form of Slider Revolution and Visual Composer. As an alternative, you can use shortcodes to add tabs, sliders or widgets to spruce up your site. The theme features several layout styles. Everything from background imagery to color scheme and from typography to font style is customizable. You can use Google Fonts to stylize the textual content. A pre-built details page and tour page is also available. In addition, you have plugin support in the form of Slider Revolution and Visual Composer. As an alternative, you can use shortcodes to add tabs, sliders or widgets to spruce up your site. This theme comes with one click demo installation. For the novice user, it is a smart choice for marketing your treasured property. 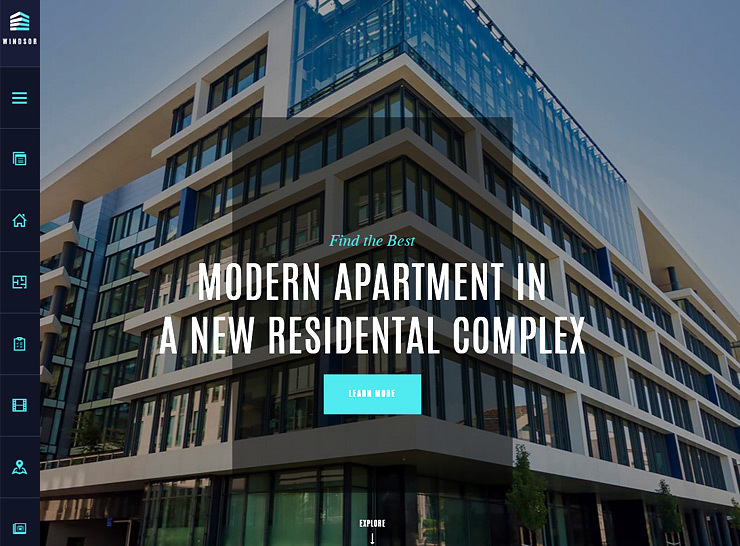 Apartment WP is a bold and beautiful WordPress theme that can be used to set up a website for a single or multiple real estate properties. It is also versatile enough to serve the business needs of a single listing website or a real estate portal. The home page is fully customizable particularly with plugin support such as with Revolution Slider. It features built-in color schemes and access to countless Google Fonts. Both boxed and full-width layout are available. You can also embed a Google Map on the front page. This will allow you to tag your location and other important landmarks on it, complete with panaromic street view. In addition, you can link your real estate description with the map. You can display your real estate listings in 3 forms, masonry, grid or classic. You can update listings in real time from IDX, made possible by the dsIDXpress plugin. This theme is also translation ready, with RTL support. Condio is a fresh and modern age WordPress theme. It has a powerful control panel, complete with Yellow Pencil Visual CSS Style Editor. This gives you complete control over all site elements. Condio features five home page variations, complete with parallax effect. You can have a sticky header or add a map with location markers. You can also have parallax slider or host a video to add some animation to your background. These options make it versatile enough to set up a one page site or add more pages. Plugin support includes Visual Composer and Contact Form 7. You can also use Contact Form 7, another plugin to enable a Contact Us Form or a Subscription Form. You can use standard, gallery and video post formats to add details of your real estate property. Moreover, there are also plenty of widgets to add information to the header, footer and side bar. This theme offers unlimited colors and is translation-ready. 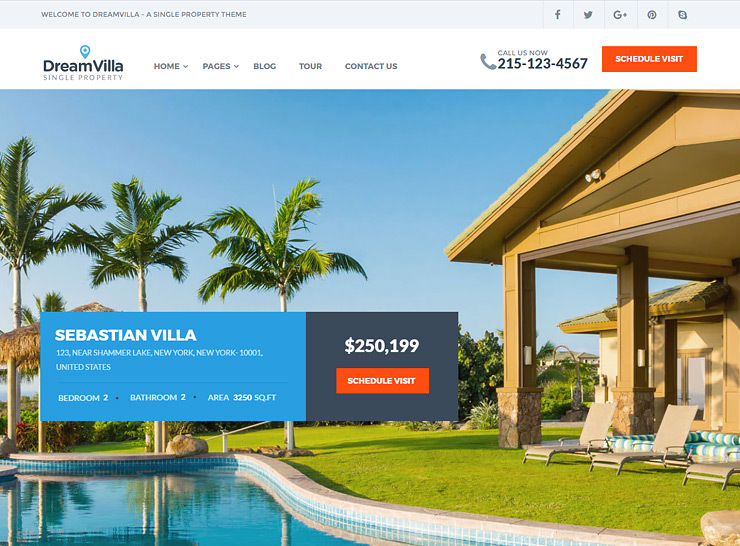 This theme is perfect for the user who needs a great property listing website without having to spend too much time designing it. 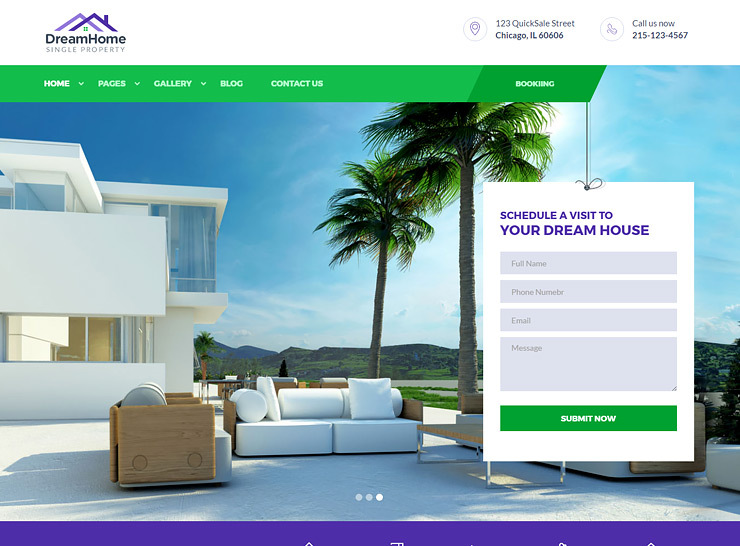 DreamHome is an exceptional single property WordPress theme. It offers a multitude of options to either sell or rent real estate. This theme offers a single page set up. However, in case you would like to add more detail, it also offers a more complex multiple page set up. Parallax effect and plugin support provides a very modern and sophisticated vibe to both layouts. 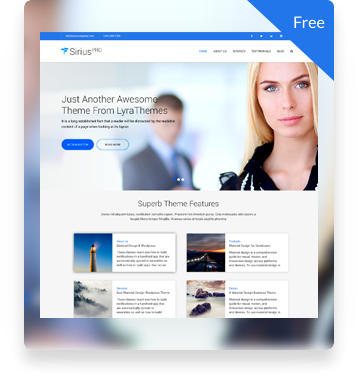 Both Visual Composer and Slider Revolution work effortlessly with this theme. The home page features a large slider area. In place of this, it can also feature a Contact Form made using Contact Form 7. In addition, you can use WP Quick Booking Manager Pro to rent your property online. You can further use WPML to translate your site for the local audience. The theme also offers the option to tag your location on Google Map. This will allow display of nearby locations on the map giving potential buyers a better understanding of the locality. The theme is Retina-ready and you can upload high resolution pictures in the gallery section. The gallery even offers buyers the option to dynamically sort through property pictures. The theme features access to a countless number of Google Fonts and color schemes. With easy to understand documentation, this theme will not leave you disappointed. This is breathtakingly beautiful and colorful single property WordPress theme. Each layout has been carefully designed to meet your business needs as a property owner or a real estate agent. Plugin support includes WPML, Visual Composer, and Slider Revolution. Hence, you can effortlessly add modern animated graphics to your site and translate content to a local language. Additionally, you can tag locations on Google Maps. This will give the local audience a better perspective of the locality surrounding your real estate property. Finally, the theme provides you with Google Fonts and color schemes for greater flexibility and design. Easy support documentation is available along with one-click demo installation options too.